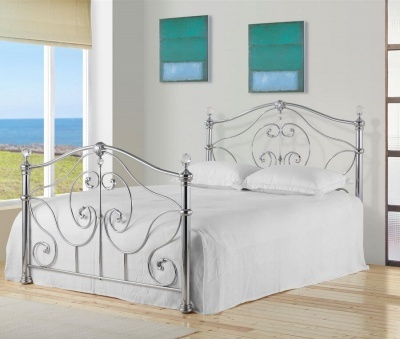 A low profile combines with the shaped headboard and chrome effect feet to give an impressive yet minimalist design. A stylish piece that suits modern and traditional interior decor schemes. Choose from vibrant blue or chic grey fabric. Designed to last for many years to come. The Sienna bed frame has a robust build. Part of our collection of fabric bed frames.